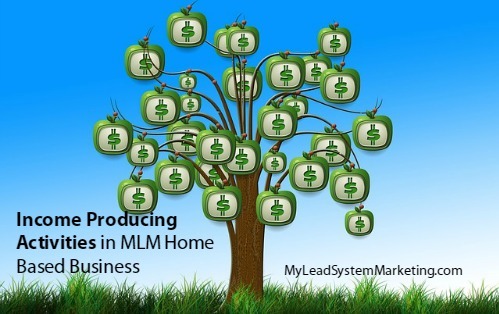 Everyone is so busy in their MLM home based business but not making any money! Why? Usually it’s because they are not focused on the income producing activities. If you want to learn how to make your business a success, you have to understand how to produce an income. What are the specific activities? Sure, you may be busy all day long but what exactly are you doing? After talking to many network marketers, I discovered that most don’t spend any time at all on real income producing activities. Instead, they are fussing with things that really don’t matter and won’t pay you in the long run. This one is pretty easy. If you do not focus on the income producing activities, you will not make any money. It’s easy to stay in learning mode, check your email 50 times a day, spend time fixing your social media cover images or get lost scrolling around your Facebook news feed. But those things will not help you earn a penny! Video: What Activities Generate Income in Network Marketing? Here are my top income producing activities for network marketing. 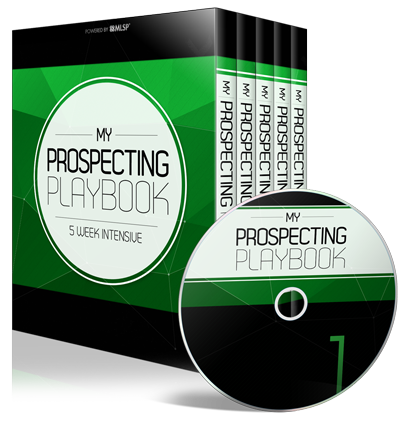 It’s no secret that you need a constant flow of leads for success in network marketing. That is exactly what your top activities need to focus on! I get it if you don’t see the connection between blogging and finding prospects for your MLM. Blogging is the exact method I have used since 2009 to get new customers, leads, and business partners for my MLM business. Although blog content marketing is more of a long term marketing strategy, it works. If you are consistent, then over time, people will find YOU online. You can create sales and get leads through providing value driven content to your audience. I still earn income from blog posts I wrote in 2009. Blogging is a powerful income producing activity for any home business and I have no clue why anyone would ignore it! Leads are the foundation of your business. In addition to a passive but powerful marketing strategy like blogging, you need to actively talk to people every day. This is called active prospecting. You are on social media right? What are you doing there? Connecting with people is one of the most important income producing activities you can do! Start with a goal of 2 people a day. That’s 730 new people a year! Work your way up to 5 or 10 people a day! If you are part of Facebook groups or Google Plus communities, be the most helpful person in the group. No spam allowed! People will get to know, like and trust you. Make a goal of at least 2 exposures a day. This means that you share your company products or opportunity with 2 people a day. Invite them to take a look and then make sure you set a follow up appointment. Regardless of where you encounter your prospect, get their contact information, start building a relationship with them. This does not mean you throw your products or business in their face upon a first meeting. It just means that you start building a relationship, find out the needs and wants of this person, and introduce them to your offer later. Now, if you had blog content out there, people would be coming to find you due to attraction marketing! I hope you find these income producing activities helpful for your MLM home based business. If you are not producing income in your business, I encourage you to watch this NOW to understand how online marketing can take your business to a higher level. 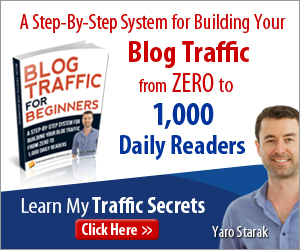 Blogging is the most powerful income generating activity I use for my success in network marketing. You can too! There are many tasks to a business but not all are income generating that is for sure. I try to delegate the non-income producing ones as much as possible, or keep a block of time for those outside of hours when I am most likely to engage with my prospect. Hi Trudy! Thanks so much for visiting my website! You have a great tip there for non-income producing activities…. delegate that stuff! I love it. How do you delegate? Did you hire a virtual assistant or use a service like Fiverr? Talk to people daily…. is something people just don’t do… we find ourselves doing busy work…. this was a great post for everyone…. thanks for sharing this Lisa…. you rock…. thanks Scott for your input…. Hey Ron! So glad you stopped by. I know, right! I always ask people how many people they talked to…usually it’s the deer in the headlights look. Thanks Joan! Always appreciate when you stop by. Blogging is my fav too! Great minds think alike. The way I look at long-term strategies is this: time is going to pass anyway…what do I want my life to look like at that later time? Blogging can help get you there!